When the Rangers finally achieved balance and unity within their triangle, they were able combine their three Beast Spirits into the Jungle Pride Megazord. Its weapon is the Jungle Setsukon, which Casey can use like the Junglechucks and its finishing moves are the Savage Spin and Super Kick. The Jungle Pride Megazord with armor provided by the Elephant zord, obtained from Master Phant. It uses the Jungle Mace and the Spin Attack to strike at opponents repeatedly, ultimately destroy them. 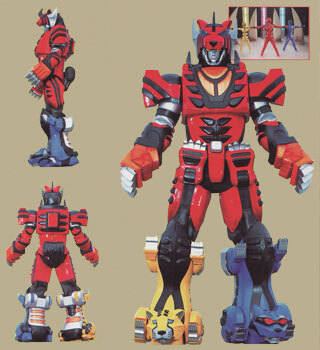 The Bat Spirit provides armor for the Jungle Pride Megazord. 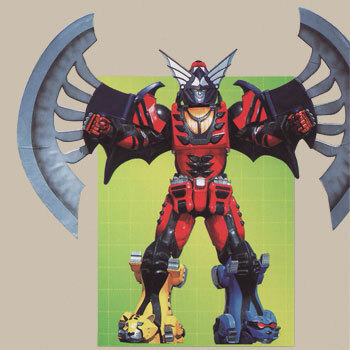 The Bat Spirit allows the Megazord to fly and destroy opponents using the Swoop Attack. 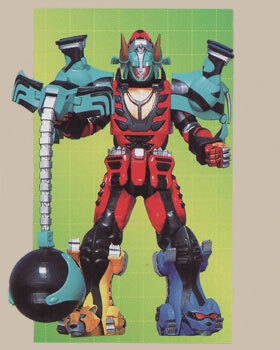 The Shark Spirit provides armor for the Jungle Pride Megazord. 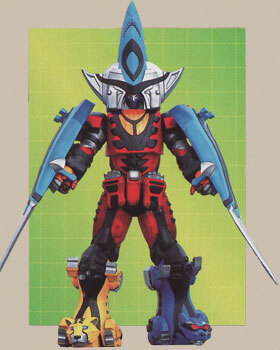 It allows the Megazord to fight underwater and destroy opponents using a spin attack.